Happy faces before we knew how heavy the log was. Photo courtesy of Alexandra Mancini. 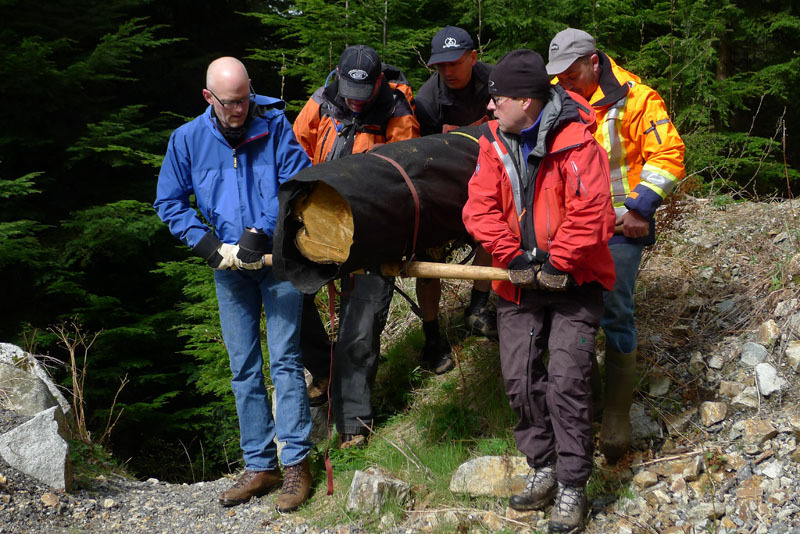 On April 12 a crew of OGCS Directors and mountain bikers went into the Conservancy to retrieve the Eustace Smith log. It had been waiting patiently since the winter of 2012/13 when a large hemlock pushed it over in the heavy snow damaging the roots beyond repair. 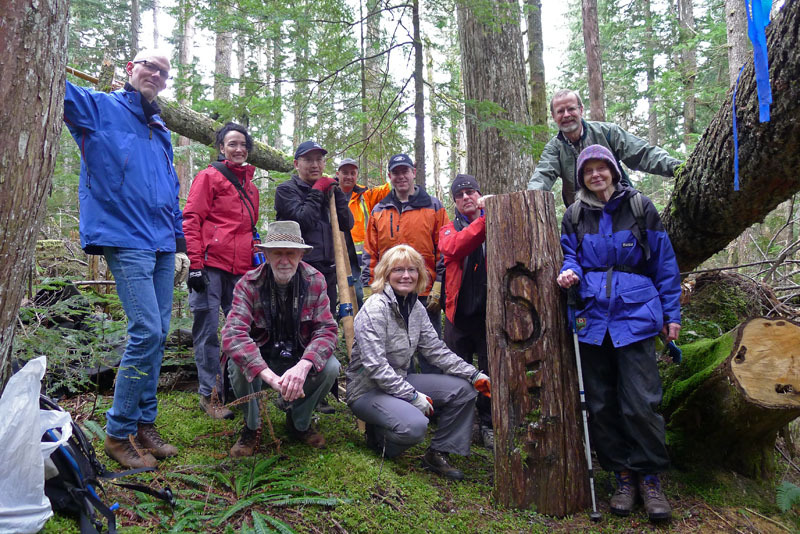 A West Van Parks crew bucked out the section with Smith’s historic “S” blaze so it could be preserved. The original plan was to drag it out over the snow, but Mother Nature did not cooperate. Instead the OGCS Directors reached out to the recreational community for the brute force to carry it out, all 200+ pounds. To get the log out, we combined the navigating skills of the Directors with the body carrying expertise of a pro ski patroller. You can see the results in the photos. Great care was taken to protect the log. Photo courtesy of Alexandra Mancini. The log is now safely drying out in a secure location. Our intent is that it will eventually find a place of honour at the West Vancouver Nature House when it opens. Hopefully it will be considerably lighter by the time we have to move it again.